I just had to ask her to share this new epic Warden outfit. The Hauberk of Glory is a piece I do not often see. Naishe and I cannot understand why, as it’s a gorgeous chest piece. The scaled sleeves and hem offer protection and an attractive glint of steel as Naishe swings her blade. The leather straps across the chest and sides are a nice touch and make the hauberk easy to pair with leather gauntlets or boots. I was also very interested in the shoulders Naishe chose. From Lalia’s market, these ceremonial shoulders have beautiful detailing and layering. They also dye a bright pure color. 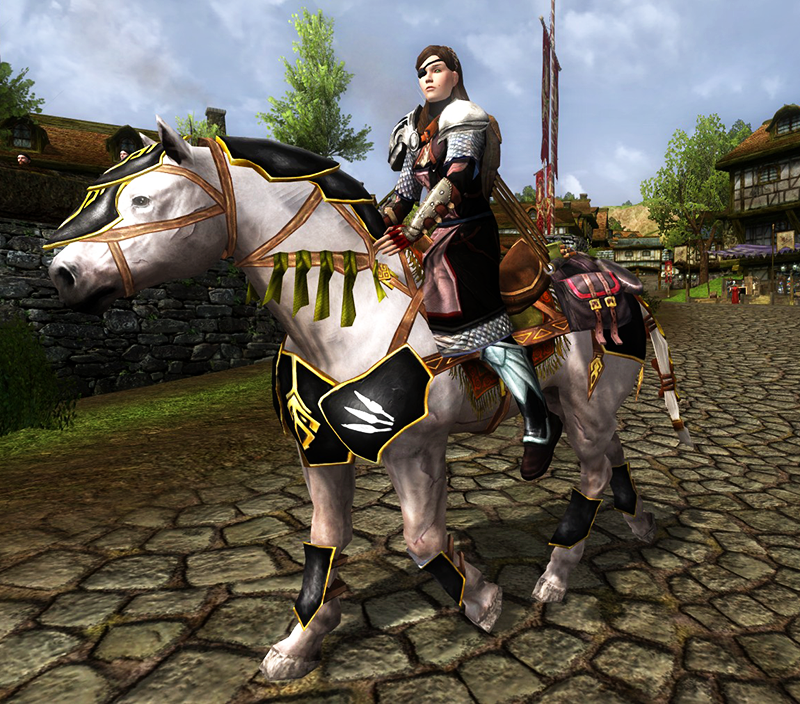 Naishe’s gorgeous heavy war-steed compliments her outfit perfectly. I especially love how her boots and shoulders go so well with the spears on the caparison and gear – the ensemble is quite eye-catching! Any orcs in her path will thoroughly be scared! 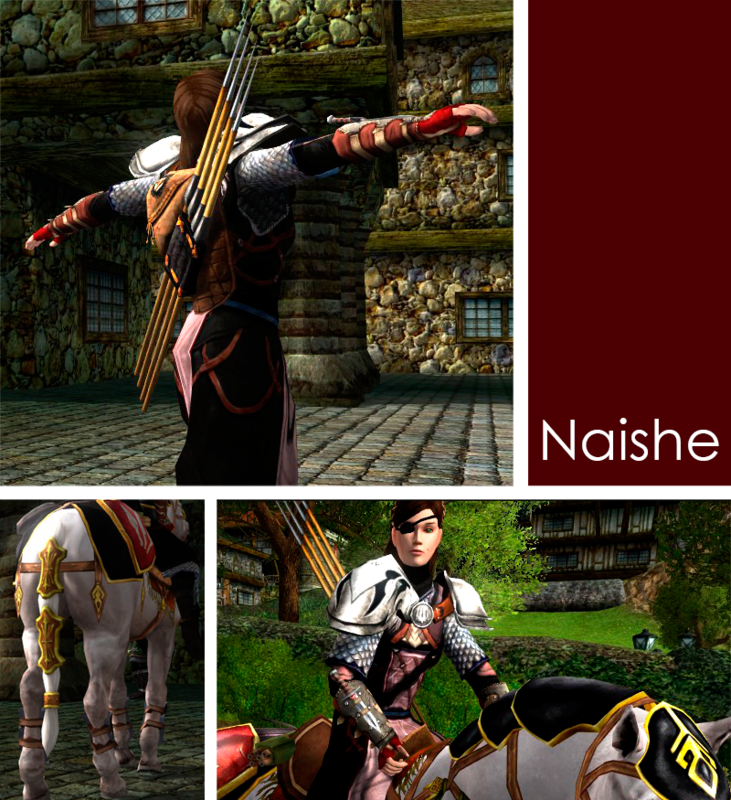 Thank you for letting me feature you on my blog, Naishe! You rock XD I’m hoping to feature more friends with fabulous outfits, this year! I do love seeing how creative everyone is with their wardrobe! 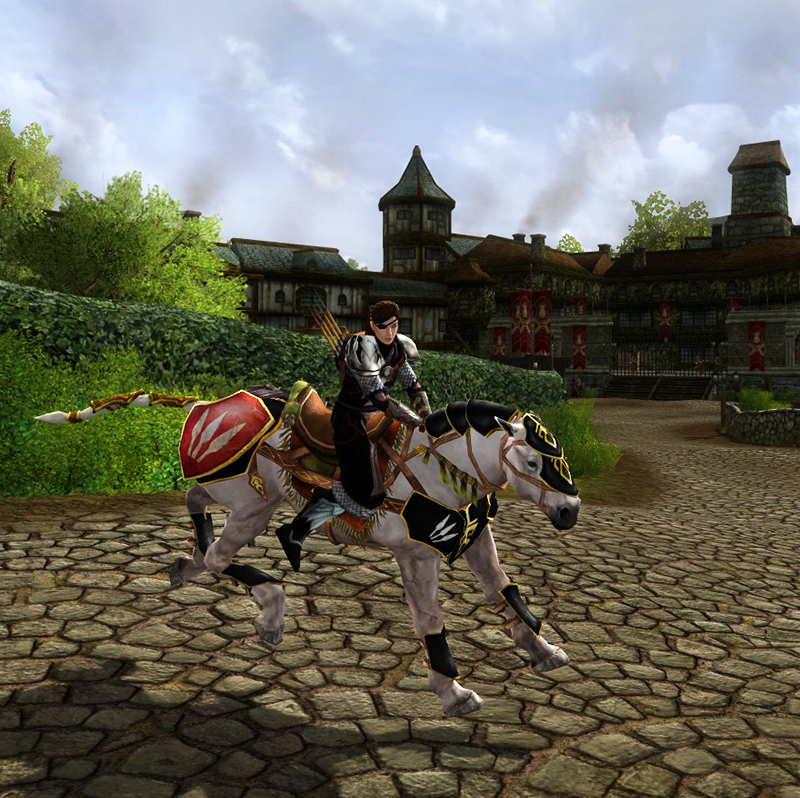 The cosmetic system in LOTRO is so vast as to be dizzying. Thanks for mentioning where the different pieces were acquired.